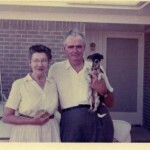 Ennis Melton “Mel” Barker was born in Mississppi on February 14, 1903 and raised in a number of communities across the Lone Star State, primarily Keller, Texas near the Dallas-Ft. Worth area. 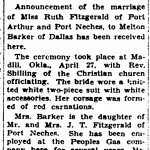 He married his first wife, Mariann, in 1926; married Ruth Fitzgerald of Port Arthur, Texas in 1936; and was married to his third wife, Carmon, from 1954 until 1975. 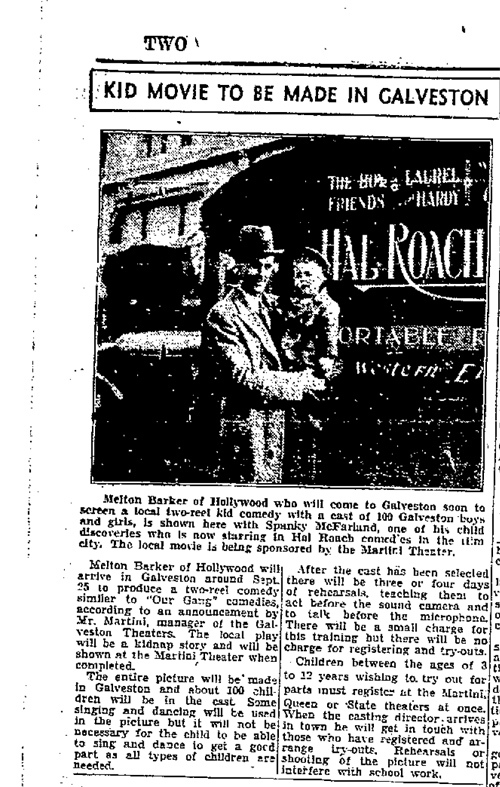 Barker claimed to have begun his professional life by working with a number of major Hollywood studios in Los Angeles during the 1920s, although no data has emerged thus far to either prove or disprove Barker’s claim of Hollywood affiliations. Based out of Dallas for most of his life, Barker circulated press releases detailing that he had “the distinction of having discovered Spanky McFarland” of Our Gang or Little Rascals fame. Photos of Barker with Spanky from the 1930s appear to support his claim! 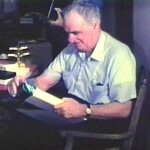 Barker filmed versions of the Kidnappers Foil dozens and dozens of times from the 1930s into the early 1970s, while also intermittently running a drive-in restaurant and movie theater. In addition to the Kidnappers Foil films, he also directed non-fiction itinerant films. Known titles from this series include The Centralia Story, The Cape Girardeau Story, The Palestine Story, and The Rapid City Story, among others. His last known residence was in Meridian, Mississippi, and he reportedly died in March 1977 while on the road. The Kidnappers Foil was added to the National Film Registry by the Library of Congress in 2012.